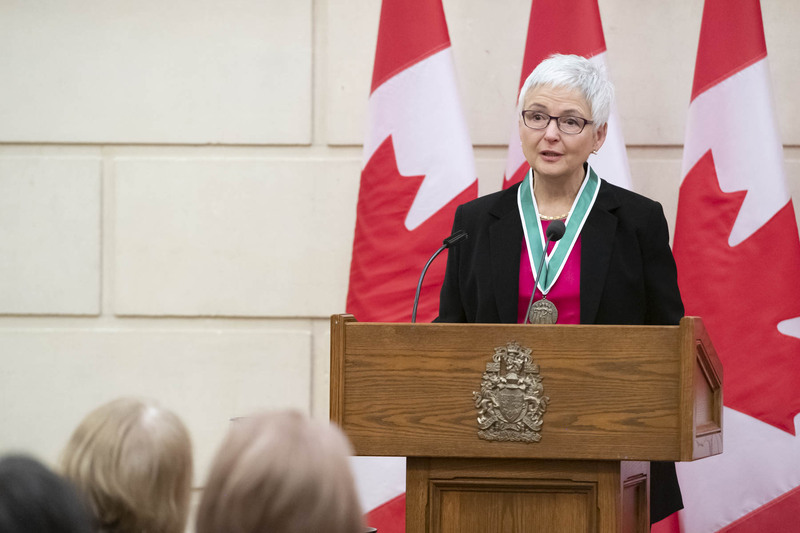 Her Excellency presented the Governor General’s Awards in Commemoration of the Persons Case to six laureates during a ceremony on Parliament Hill. 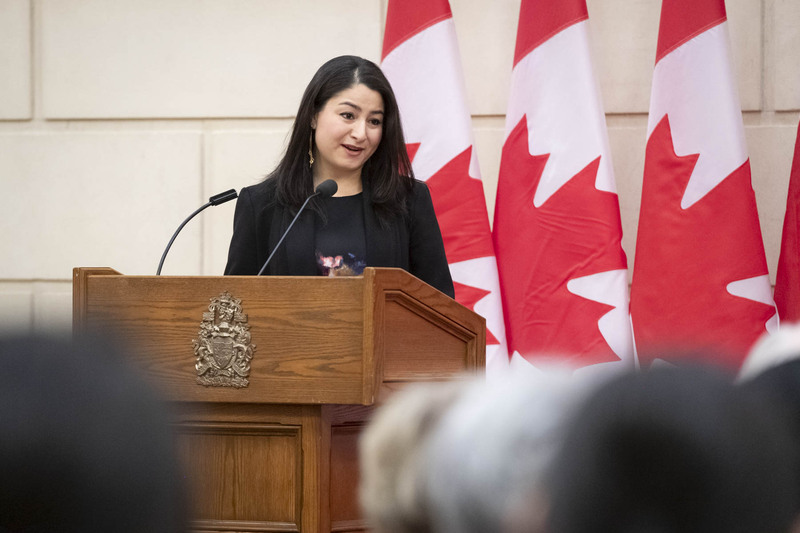 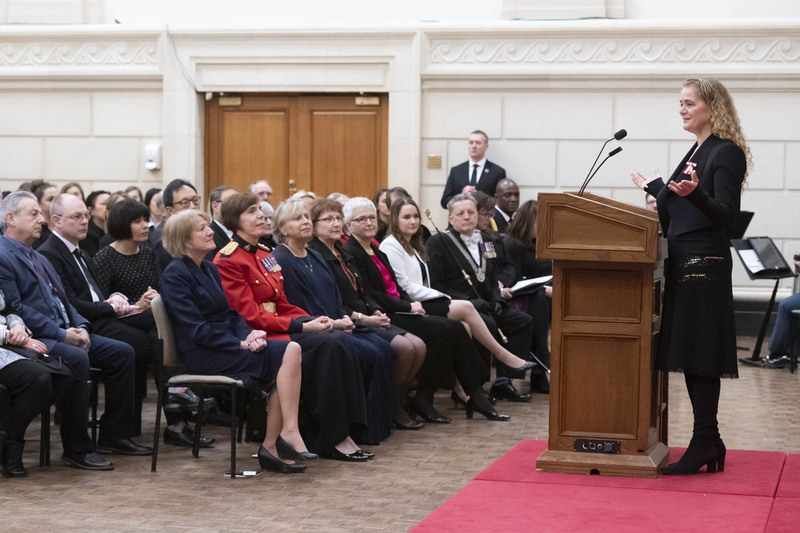 These awards highlight Canadian contributions to the advancement of women’s equality and celebrate Canada’s evolution as an inclusive society. 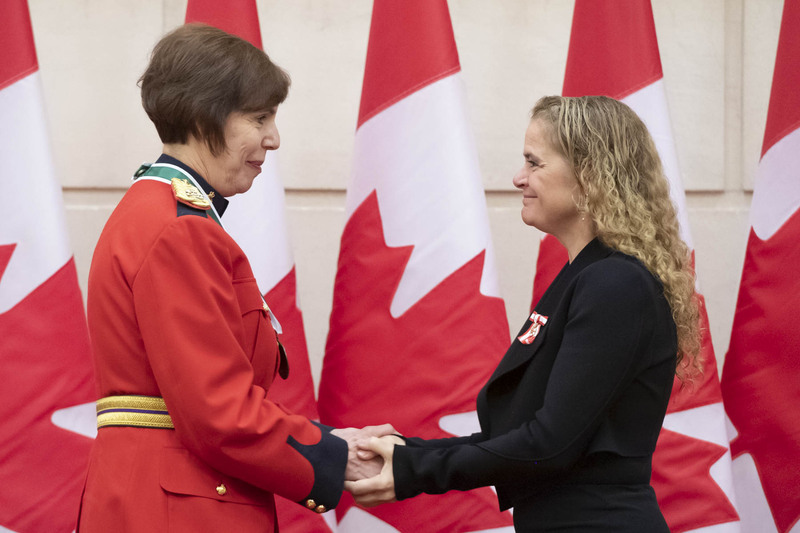 The 2018 laureates are Rina Arseneault, of Fredericton, New Brunswick; Shirley Cuillierrier, of Ottawa, Ontario; Rina Fraticelli, of Toronto, Ontario; Charlotte Hrenchuk, of Whitehorse, Yukon; Hélène Lee-Gosselin, of Sainte-Pétronille, Quebec; and Alana Robert (youth recipient), of Winnipeg, Manitoba . 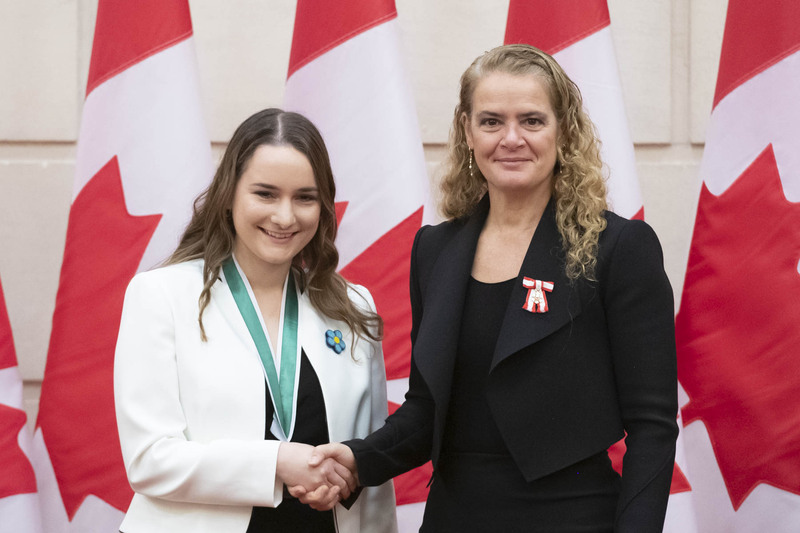 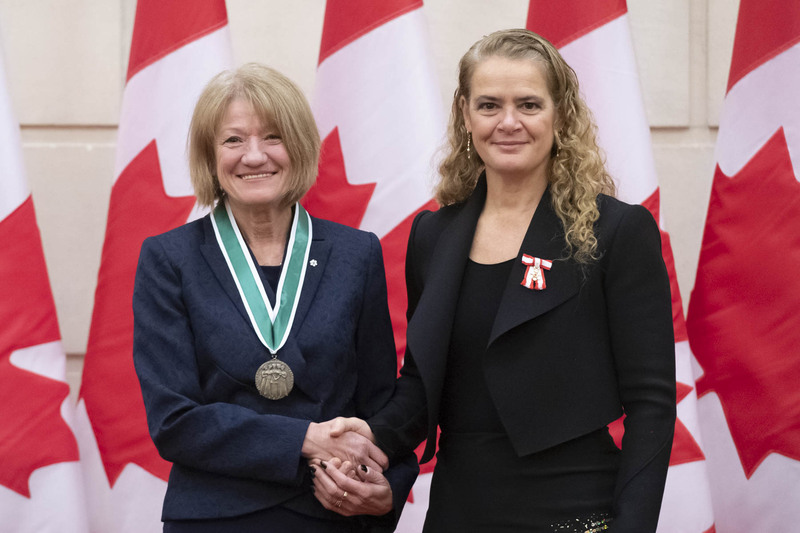 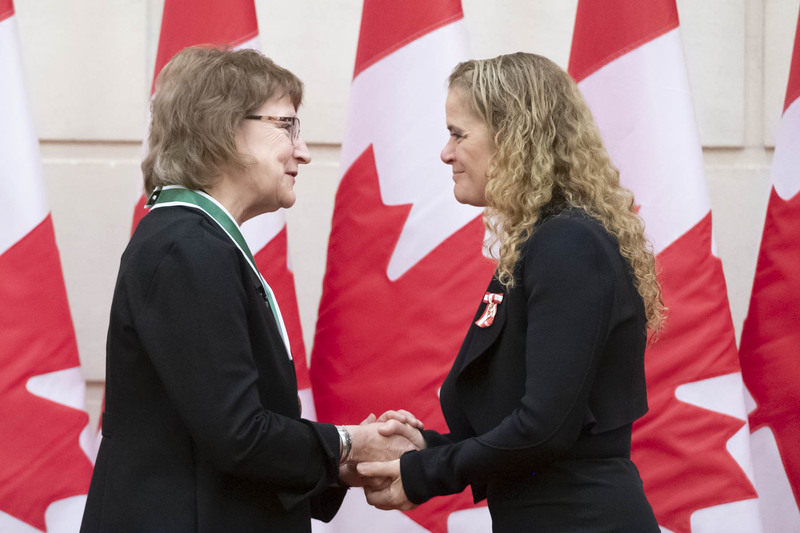 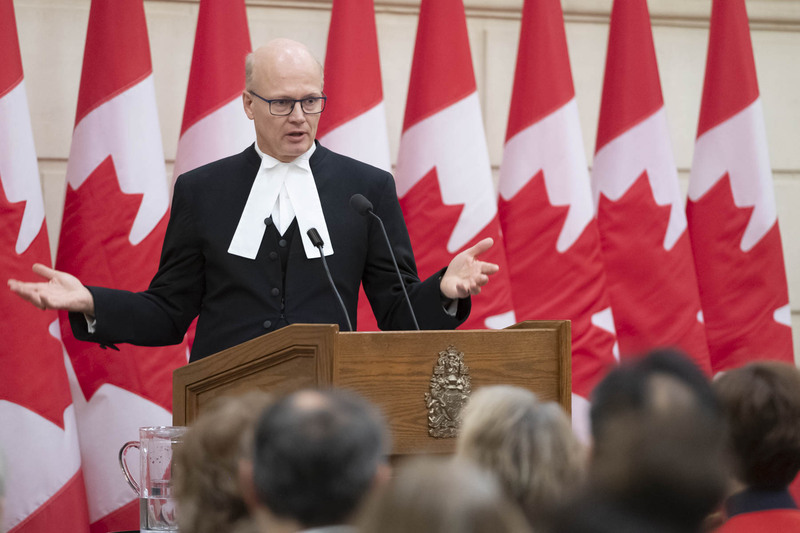 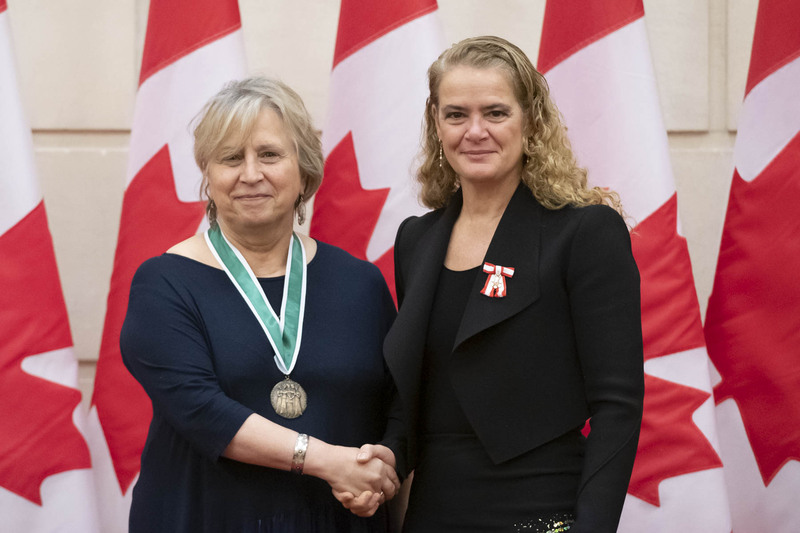 The Governor General presented the Governor General’s Awards in Commemoration of the Persons Case to six laureates during a ceremony on Parliament Hill.